Just Keep Sweating: Fro-Yo Protein Pops! This 2 ingredient recipe I am about to share with all of you is epic. I have been hooked on this combination lately, I call it an adult PB&J. Turn this into fro-yo pops! All I needed was a Popsicle kit [ is that what they are even called?] and I could make my dreams come true. Immediately went home and created what is now my favorite frozen treat. I took 2 containers of Chobani blueberry mixed it with 2 1/2 tablespoons of Justin's maple almond butter, put it into the Popsicle mold and popped it into the freezer over night. What is this delicious treat going to cost you calorie wise you ask? BAM! 145 calories and 9G of protein! I can't wait to come up with other flavor combinations. I have ideas to involve chocolate-granola-fresh fruit.....It's going to be a Popsicle filled summer for sure. we have the molds....currently filled with protein shake. we shall eat and try YOUR WAY! ohhh I'll have to try it your way!! Yum! 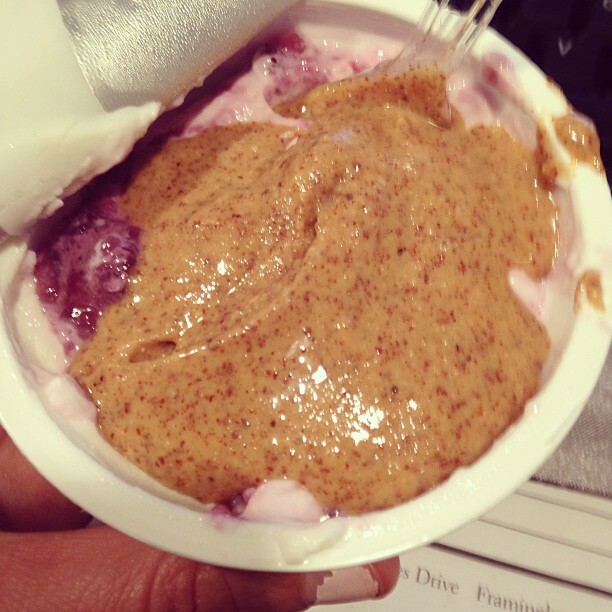 I have Justin's Almond Butter on my iHerb wishlist. I think I'll need to buy next time I place an order. These look delish! 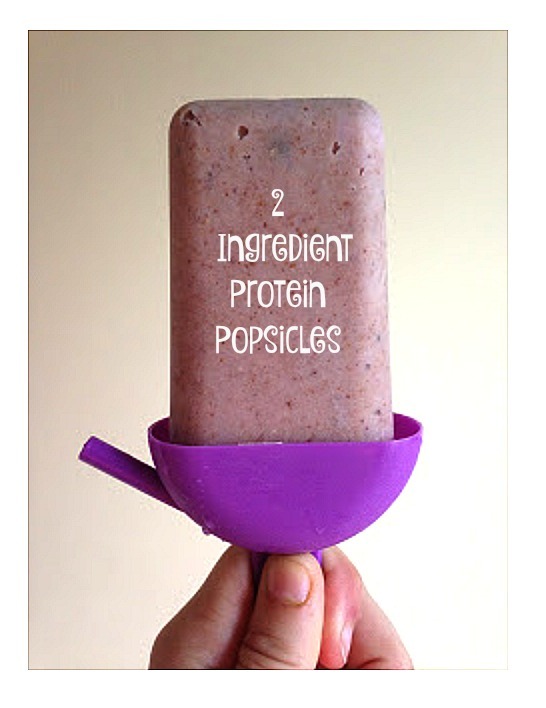 I'm a froCHO/fro-yo protein pop fiend. I basically lived on them this past Summer in Australia. I'm in! Looks super yummy! Looks tasty. I really only like vanilla flavored greek yogurt though... and I just tried almond butter for the first time this weekend. I wonder if vanilla/almond butter would be good. OMG I totally want those popsicle molds!!!! It's on - Off to Bed, Bath & Beyond I go! :) I just got a $5 coupon in the mail too - It's a sign! AMAZING! I need to get Popsicle trays! Thank you, thank you! I can't wait to try! So easy and so good! Sounds delicious! I'll also need to invest in popsicle trays, I love how yours have that little straw. Bridal Shower Dresses and New Home? Meal prep fail and weekend workouts!